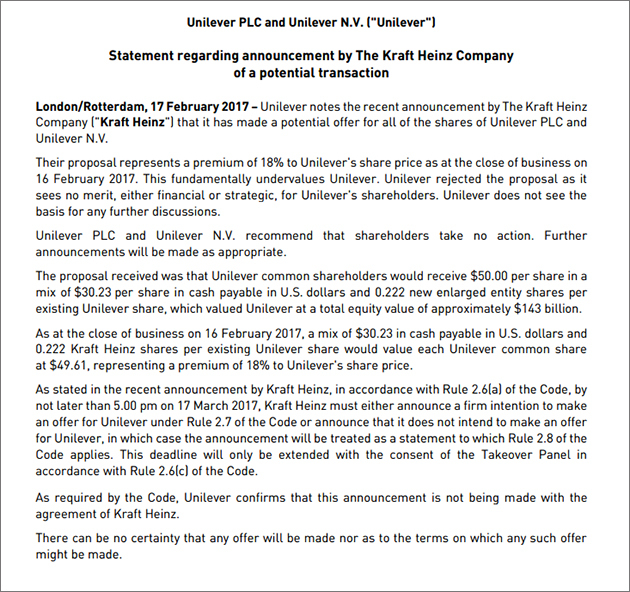 Kraft Heinz has withdrawn its proposal for a US$143 billion merger with larger rival Unilever, the companies said on Sunday, only two days after publicly confirming its interest in acquiring Unilever. 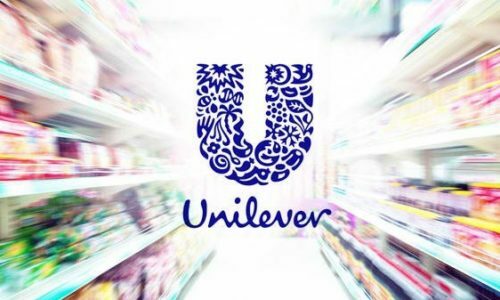 Kraft had made a surprise offer for Unilever to build a global consumer goods behemoth that was flatly rejected on Friday by Unilever, the maker of Lipton tea and Dove soap. Unilever quickly rejected Kraft Heinz’s approach, saying it “fundamentally undervalued” the company. The American food conglomerate withdrew its offer because it felt it was too difficult to negotiate a deal following the public disclosure of its bid so early after its approach to Unilever, Reuters quoted people familiar with the matter. A combination would be the third-biggest takeover in history and the largest acquisition of a UK-based company, according to Reuters. The combined entity would have US$82 billion in sales. Kraft had not expected to encounter the resistance it received from Unilever, one of the people said. Some key concerns raised during talks included potential UK government scrutiny, as well as differences between the companies’ cultures and business models, the person added. The Financial Times reported that British Prime Minister Theresa May had asked officials to examine the merger. Her team held talks with both companies on their plans for job growth, research and development, and operations in the UK. Lazada is going to host its first 11.11 shopping festival across six countries including Singapore, Malaysia, Thailand, Indonesia,..